Images of my new public sculpture commission, View Point. 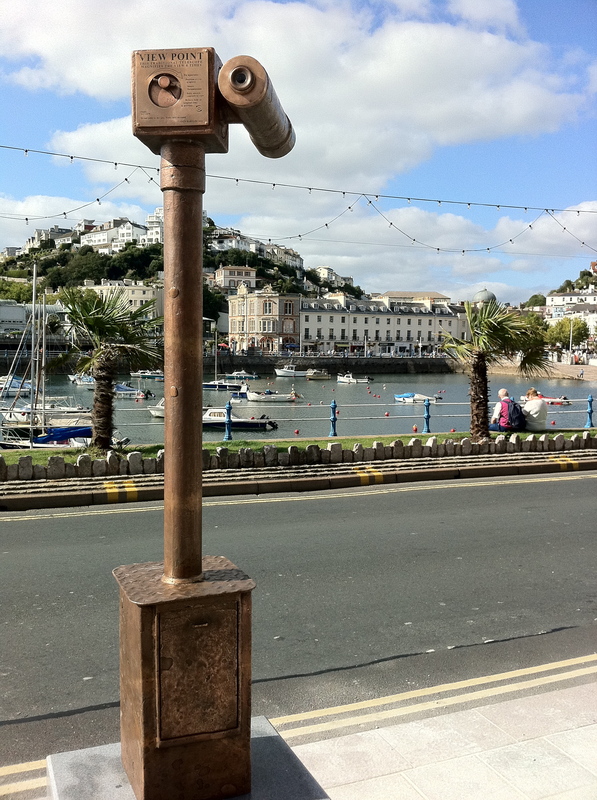 View Point 2011, commissioned by Torbay Council and situated on Torquay’s busy Harbour, forms part of the area’s regeneration project. The project was centred on uncovering the hidden history of the bay, the harbour’s many uses and the communities that have called Torquay home. 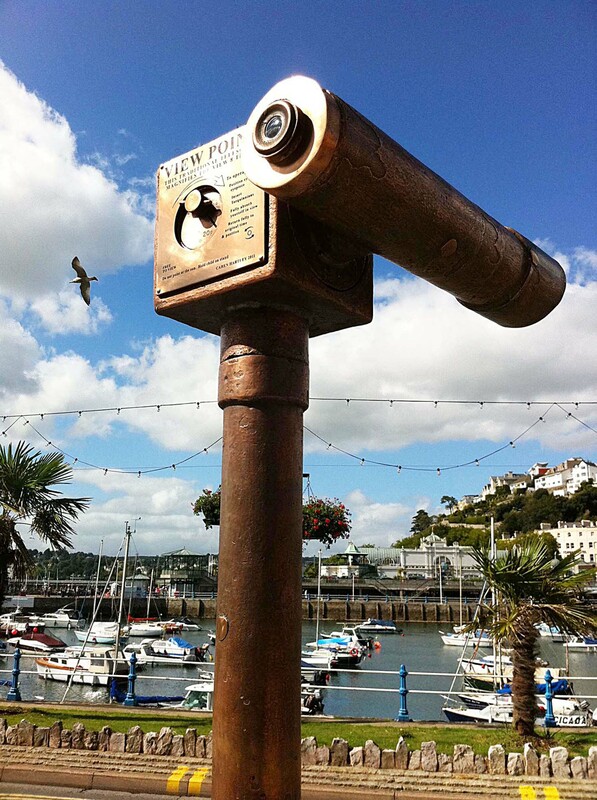 The piece is based in form on a traditional tourist telescope, long used and weather beaten. Providing a strong link to Torquay’s touristique hey day and a collective nostalgia. The view itself, focused on the inner harbour, re-introduces some historical features to the scene – take a look on your next visit!